Have you thought about joining the RRC? Also, don’t forget to register for the RRL on Saturday, 1/24/15! We did this WOD last Wednesday. Today is a competition day. Look back at your results and come out firing. Be sure to comment with any improvements and if you PR’ed! How do you game your WODs? 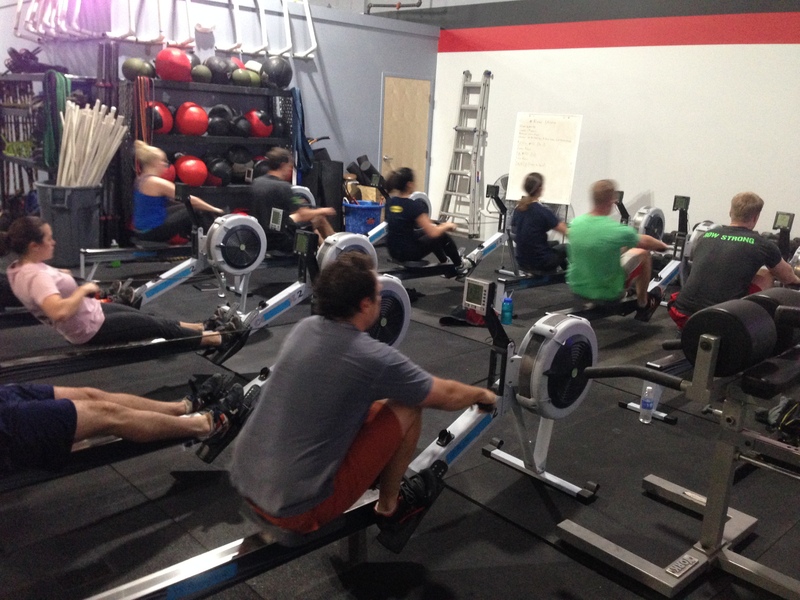 When attacking a 2k row a good way to game it is to think of 4 different races in your head. Each one is a fresh start to hold your ideal split, stick to a stroke rating, refocus and fight. Today’s Rowing WOD is all about that mentality. Before going into it be sure to warmup your deadlift and do a few bursts on the erg at the split you aim to hold for each piece. Think of each set of deadlifts as a power 10 to walk through your opponents. Drive those heels down, make that boat feel light, and crush them! Solid Tadhg! Have a great weekend!